Full instructions are supplied and no special training is required to use a Dip Slide. 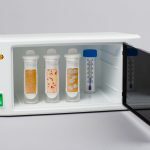 A warm dark place is needed for incubating a Dip Slide but for consistency, particularly if the ambient temperature fluctuates, a small incubator is preferable. 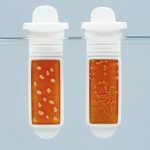 The Dip Slide technology was designed to test aqueous samples. It can also be used to test surfaces and instruction leaflets have calibration charts for surfaces. The Dip Slide technology works because a specific amount of water (approx 1/50 of a millilitre ) will be adsorbed onto the surface of the slide when it is dipped into water. Other aqueous fluids are often tested using Dip Slides but the actual amount of fluid that is adsorbed onto the slide will probably vary from fluid to fluid; hence Dip Slides may require re-calibrating for each fluid type tested. If a non-aqueous sample is tested, e.g. Fuel, the amount of sample that will be adsorbed onto the slide is not known. The MicrobMonitor2 test has been designed to test non-aqueous samples. What type of samples can I test with a Dip Slide? 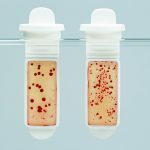 Dip Slides are designed to absorb a specific amount of aqueous sample (water or water based) sample into the media contained on each paddle of the Dip Slide. Therefore they are ideal for testing water based liquids. N.B. 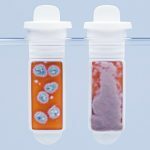 If the sample contains any preservative Dip Slides are known to underestimate the number of microbes present. Therefore if testing a water based fluid that contains a preservative a neutralisation step should be conducted prior to testing. Can I test Fuel with a Dip Slide? The manufacturers of Dip Slides do not recommend that they are used to test fuel samples. 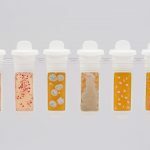 Dip Slides work by absorbing water into the media on each slide and thus when testing fuel the amount of sample which will stick or be absorbed by each test slide is variable at best and Dip Slides are likely to underestimate any microbial contamination present. 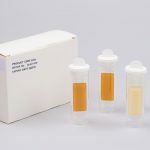 The Expiry date of the Dip Slides will be printed on the end of each batch and they will usually be supplied with at least 6 months of shelf life remaining. How should I store Dip Slides? Store in a cool dry place (Optimum 8-15 degrees c). Do not use slides if there is any sign of microbial growth before opening. Slides remain usable while the agar is smooth and attached to the slide. A small amount of water may collect in the bottom of the tube. This is condensate from the agar and does not affect performance, provided the agar still fills the Dip Slide Paddle. Will Dip Slides detect corrosion causing Sulphate Reducing Bacteria (SRB) ? Distinguishes between Bacteria, and Fungi. 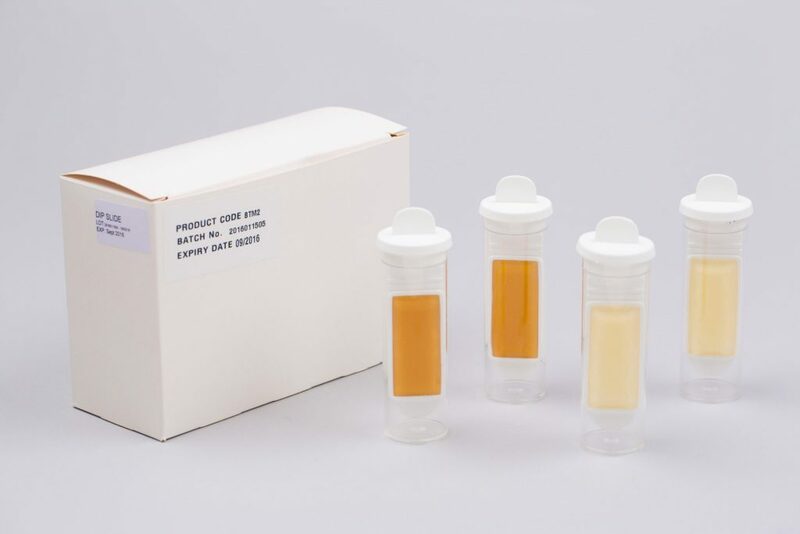 ECHA09/DS DIP SLIDE TSA/MEA (BOX OF 10) Slide with Nutrient Agar (for bacteria) on one side and Malt Extract Agar (for yeast and moulds) on the other.